271 spectators turned out tonight to watch this game, and by First Round County Cup standards, that’s pretty impressive. I guess as well it’s even more impressive considering the home team is actually based in a different County to the completion that they play in? Welcome to Worksop Town Football Club, a test of anyone’s loyalty given what the supporters of the fourth oldest football club in the land have had to go through. Based in Nottinghamshire, but with strong sporting allegiances to South Yorkshire, the Tigers were formed in 1861, making them bloody old! The early years, in fact the bulk of the first hundred years of the club were spent in the Midland League, but then in 1974 they were elected to the Northern Premier League. All was going well until 1989 when they were hit with a double blow, relegation to the First Division of the NPL and also eviction from their Central Avenue home in the town. Gainsborough Trinity’s Northolme was to be called home for the next three seasons until their new ground at Sandy Lane was completed. It took until 1998 to regain Premier Division status, and then by the time the formation of the Conference North came around, they were elected as founder members. Three years were spent in the second tier of non-league football before relegation and financial difficulty hit the club. 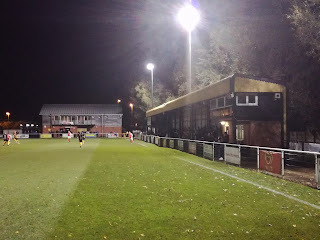 They then found themselves unable to play at Sandy Lane due to ownership issues and consequently spent three seasons ground sharing at Ilkeston Town, Retford United and Hucknall Town. 2011 was a pivotal year for the club as they returned to Sandy Lane, albeit as tenants to Handsworth Parramore who were now the owners of the ground. Good times looked to be back when the club reached the play off’s but they lost to upwardly mobile AFC Fylde in the April of 2014. A further blow was soon to be dealt. Owner Jason Clark announced he would no longer be funding the club, so the decision was taken to drop two divisions to the Northern Counties East League, where they remain. A second and a fourth place finish were not enough to see the club promoted, and then after a thirteenth placed finish last season , change was needed, and in came Ryan Hindley, the man who turned around the fortunes at Hallam FC. Wow, from a fans perspective you’ve had a real rollercoaster journey, not just the survival of the club, but major concerns over the ground, and a yo-yo performance on the field, yet now, they find themselves at the lowest level they’ve played at in modern times, it just doesn’t seem right to me. Crowds average around the 300 mark, comfortably the best in the division, and would be considered by many clubs two leagues above to be an improvement on what they currently get, Worksop Town are in the wrong league. Tonight they took on an in form Stocksbridge Park Steels side who are scoring goals for fun at the minute in the league above. It promised to be an intriguing clash, and like a lot of County Cup ties, it would also depend on how seriously both sides took it. Fortunately the Sheffield & Hallamshire Senior Cup is taken very seriously, partly because of the number of sides who compete in it that play in the Northern Premier League, but also because the final in played at either Hillsborough or more recently, Bramall Lane. Alex Denton gave Worksop a very early lead in the game, but after an end to end opening it was Joe Lumsden who equalised around the half hour mark. The game continued to be end to end right until the final whistle and we were in for extra time, which proved to be the most entertaining period of the game. 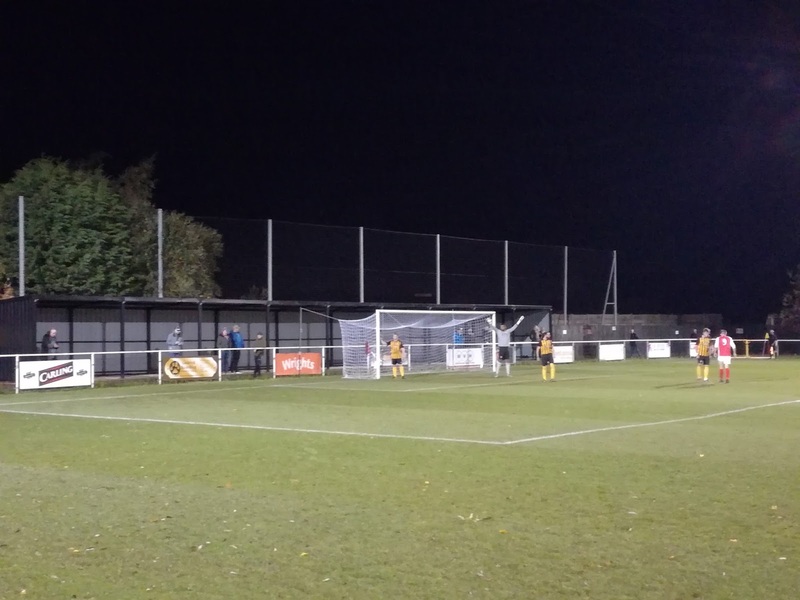 Rhys Davies put Worksop ahead in the 110th minute and it looked as through something of a shock was about to take place, but Steels had other ideas. Ben Rhodes equalised on 116 minutes and then before Worksop had chance to dust themselves down from the disappointment, it was that man Lumsden who struck again in the final minute of extra time to take the visitors into the next round. 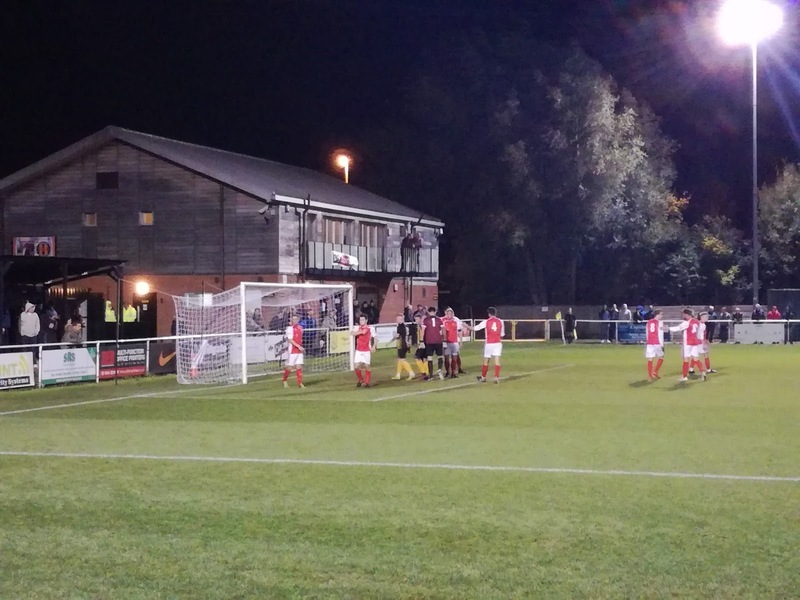 Worksop were clearly gutted by the outcome, but they are playing the long game. A return to the NPL is crucial, but with both Pontefract Collieries and Pickering Town stealing a march, it’s going to be far from easy. They also need some security of tenure, Handsworth Parramore have removed some of the Atcost stands with a view to developing their own facility in Sheffield, consequently the Tigers would like to take ownership of Sandy Lane should this happen. Time will tell. 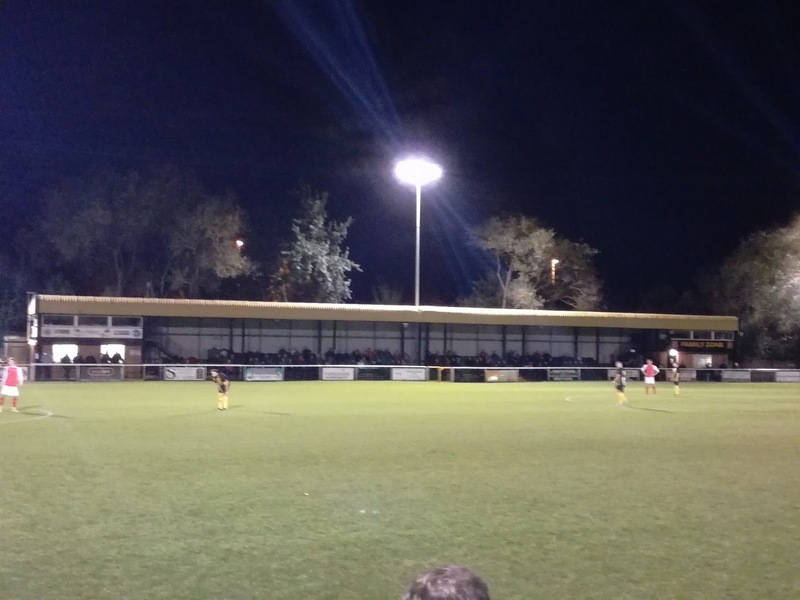 But 271 fans turned out to watch a County Cup tie, a sleeping giant needs awakening, Worksop Town Football Club and the loyal fans deserve to see the club return to its rightful place.